Wintry weather can put a damper on driving conditions, especially when snow and ice are involved. Hazardous storms and inclement weather are a factor in more than half a million crashes and more than 2,000 road deaths every winter, according to research from the AAA Foundation for Traffic Safety. 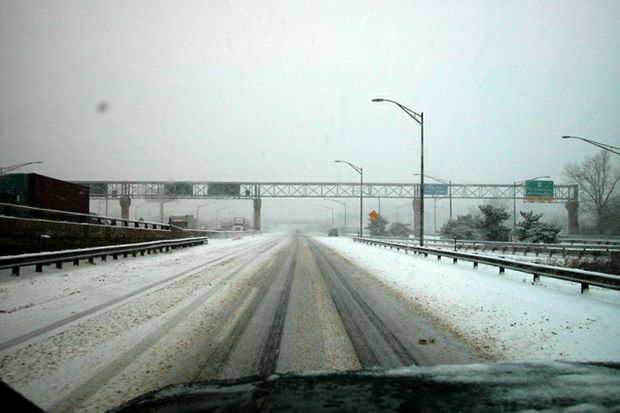 With another batch of incoming wintry weather, AAA urges drivers to slow down, be cautious and prepare their vehicles. Carry an emergency kit. The kit should include sand or kitty litter, a small shovel, flashlight, an ice scraper or snow brush, booster cables, a blanket, gloves or mittens and flares or reflective triangles. Replace worn windshield-wiper blades. Purchase one-piece, beam-type or rubber-clad “winter” blades to fight snow and ice buildup. Use cold-weather windshield washer solvent and carry an ice scraper.